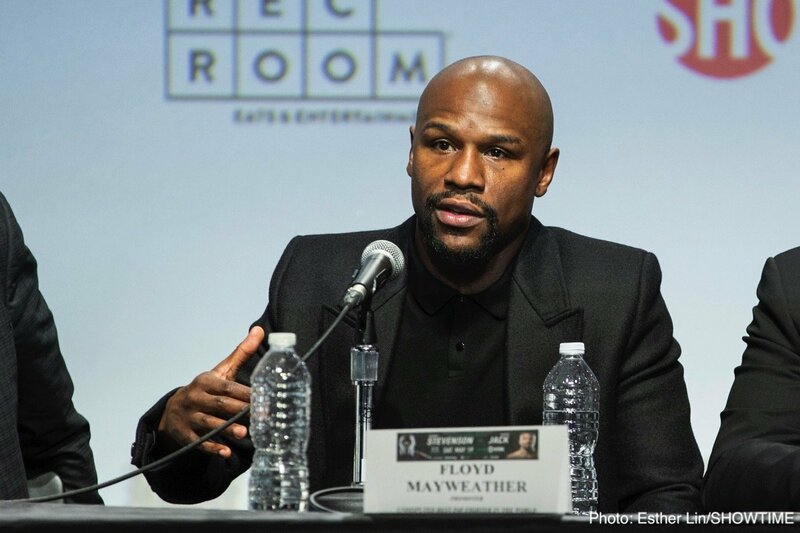 Once again, Floyd Mayweather has released a teaser of a news bit via social media. The “retired” 42 year old great took to his instagram page a few hours ago, where he uploaded a short video in which the former multi-weight champion, in a mock press conference set-up, said he has “an announcement” to make, which he will do on Wednesday (presumably tomorrow, although it could be next week). Already there is much speculation regarding just what Mayweather will announce. Is Floyd set to announce how he will fight again, perhaps in that big rematch with Manny Pacquiao, a fight that seems to get talked and talked about, or will Mayweather announce how he has another exhibition bout set? Or maybe the announcement will be nothing at all to do with boxing. With Floyd, a man who absolutely craves the limelight, we never know for sure what he has on his mind in an attempt to stay relevant. Floyd has said, again and again, that he is retired and that he has no intention of returning to the ring, yet despite this fans continue to talk about whether or not the 50-0 future Hall of Famer will actually step back in the ring for one more. Now, with this social media message, such talk will increase. Is Mayweather bored, to the extent that he actually wants to fight again? It is possible. But if he did announce a ring return would fight fans get excited? Mayweather, a fighter who has nothing at all to prove, has not featured in an exciting fight for years now and it’s highly unlikely he would give the fans “blood, sweat and tears’ in any fight at this advanced stage of his career. Of course, Manny Pacquiao continues to hope for that second chance at Floyd (as too does Manny’s trainer Freddie Roach), but it seems unlikely to happen. Or will Mayweather surprise us all and announce tomorrow that Mayweather/Pacquiao II is on? Mayweather was recently over in the Philippines of course. Maybe tomorrow we will find out just why he was there. You are here: Home / Boxing News / Floyd Mayweather To “Make Announcement” On Wednesday – Will “Money” Fight Again?